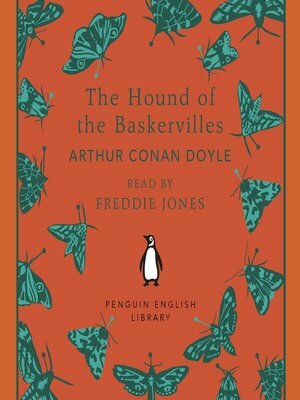 Penguin Classics presents Sir Arthur Conan Doyle's The Hound of the Baskervilles, adapted for audio and available as a digital download as part of the Penguin English Library series. Read by Freddie Jones. "Mr Holmes, they were the footprints of a gigantic hound!" The terrible spectacle of the beast, the fog of the moor, the discovery of a body: this classic horror story pits detective against dog, rationalism against the supernatural, good against evil. When Sir Charles Baskerville is found dead on the wild Devon moorland with the footprints of a giant hound nearby, the blame is placed on a family curse. It is left to Sherlock Holmes and Doctor Watson to solve the mystery of the legend of the phantom hound before Sir Charles' heir comes to an equally gruesome end. The Hound of the Baskervilles gripped readers when it was first serialised and has continued to hold its place in the popular imagination.Part of a series of vintage recordings taken from the Penguin Archives. Affordable, collectable, quality productions—perfect for on-the-go listening.